As the clay court season begins to heat up, all eyes turn to the Monte Carlo Masters. One of the most glamourous events on the ATP Tour, the tournament dates back to 1897 and is held at the esteemed Monte Carlo Country Club. Can Rafa regain his title… again? In recent times, the event has been dominated by one player. You may know him… Spanish, 6ft 1, long brown hair, a rocket laser of a left arm? That man is, of course, reigning Rogers Cup presented by National Bank champion Rafael Nadal. However, a knee injury, which forced the 32-year-old to withdraw from Indian Wells at the semi-final stage and miss the Miami Open just last month, could leave the door ajar for another player to claim the crown. It would be foolish to write off the 11-time champion, though. Having won 17 Grand Slams, including a record-breaking 11 French Open titles, it’s fair to say Nadal has got the hang of this clay court thing. A recent video emerged on Twitter of the Spaniard on the court in Monaco, looking spritely ahead of the action, which begins this weekend. Last year, Nadal beat Japan’s Kei Nishikori 6-3, 6-2 in the final, having swept aside fifth-seed Dominic Thiem in the quarter-finals and fourth-seed Grigor Dimitrov in the semis. If the knee holds up, it’s hard to see a way past the Manacor-native this year. If anyone can stop Nadal, Novak Djokovic can. The Serbian is the top seed for the tournament and a two-time champion having claimed the title in 2013, beating Nadal 6-2, 7-6(1), and 2015, overcoming Tomas Berdych 7-5, 4-6, 6-3. The current World No. 1 and four-time Rogers Cup presented by National Bank champion was knocked out in the third round at Indian Wells and the round of 16 in Miami but, with the Australian Open title already under his belt so far this season, he’s certainly one to look out for in Monte Carlo. While two-time Rogers Cup presented by National Bank title-winner Roger Federer won’t grace the courts, his fellow finalist at the BNP Paribas Open, Thiem, will. The 25-year-old, ranked fifth in the world, overcame Federer 3-6, 6-3, 7-5 in a thrilling final at Indian Wells but suffered a shock defeat to Hubert Hurkacz in just the second round in Miami, having received a bye in the first round. Seeded fifth in Monte Carlo, the Austrian will be hoping to claim his second Masters 1000 title of the year. 2018’s runner-up Nishikori heads to Monaco as the tournament’s sixth seed. The 29 year old started the year with a win at the Brisbane International, before reaching the Australian Open quarter-final, where he was ousted by Djokovic. In Indian Wells, he lost to Hurkacz 4-6, 6-4, 6-3 in the third round and exited the Miami Open in round two at the hands of Serbian Dusan Lajovic. Canadian no. 1 Milos Raonic won’t feature in Monte Carlo but teenage sensations Denis Shapovalov and Félix Auger-Aliassime are both set to play. Shapovalov, 19, enters the tournament ranked a career-high 20th on the ATP Tour. His remarkable run to the semi-finals at the Miami Open was halted by a 6-2, 6-4 loss to Federer but his route to the final four included impressive victories over eighth-seed Stefanos Tsitsipas and American Frances Tiafoe. The Richmond Hill-native will be high in confidence heading to Monaco and it doesn’t hurt that he has fond memories of facing tournament-favourite Nadal at a Masters 1000. 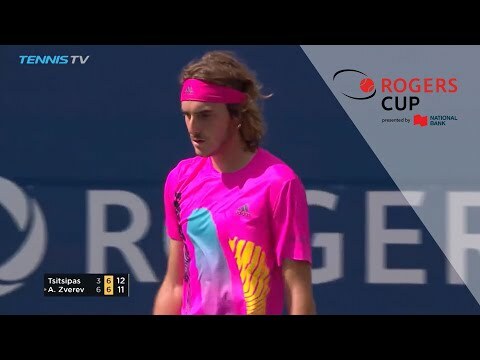 Shapovalov made his breakthrough by delighting a delirious Montreal crowd back at the 2017 Rogers Cup presented by National Bank, defeating the Spaniard 3-6, 6-4, 7-6(4). Meanwhile, Auger-Aliassime is also riding the crest of a spectacularly successful start to the season. The 18 year old made waves by reaching the final of the Rio Open in February and joined Shapovalov in the semi-finals of the Miami Open only to lose to American John Isner 7-6(3), 7-6(4). The Montrealer, currently ranked 33rd in the world, is the highest ranked player under 19 on the ATP Tour and it feels only a matter of time before he claims his first title. Could it be in Monte Carlo? Let’s find out.